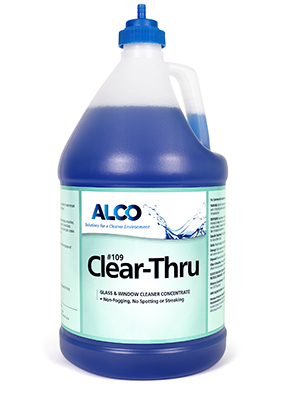 Alco Clear Thru Closed Loop - Alco-Chem, Inc. Concentrated. Dissolves smudge, smoke film and surface soils. Great for all hard surfaces, including table tops, doors, tile, chrome, polished aluminum and stainless steel.